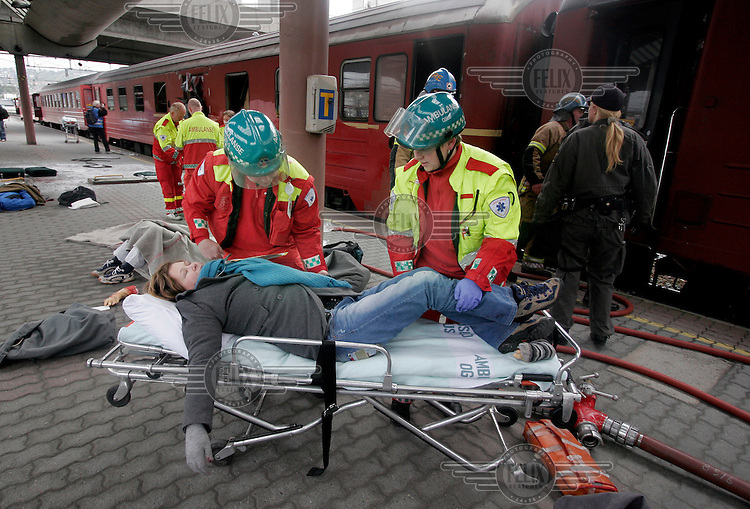 Emergency services respond to a simulated terror attack in the centre of Oslo. Police, Fire Department and Ambulance services were called to three different locations to deal with the aftermath of terrorist attacks. The simulated terrorism was aimed at the underground, a train and a bus.